Revlon Naughty is part of the classic collection though when it was first released as Perplex it was LE. I'm glad they brought it back! It's also said to be a pretty close dupe for Chanel Paradoxal though I can't say for sure since I don't have it. 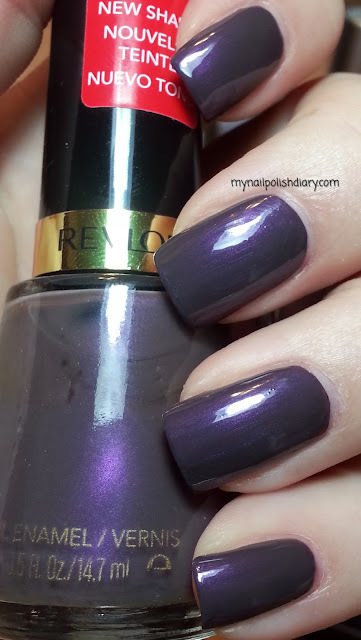 Revlon Naughty is a greyish purple with lavender shimmer that flashes so pretty in the sunlight. I really love this polish. It's unique in my collection, which is awesome. I like Revlon polish a lot. It applies and wears as well as high end polish for me. Yep, it's gorgeous!!! Thanks for looking!